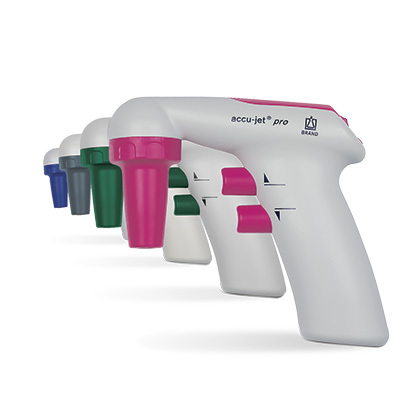 Product and ordering information for the accu-jet® pro pipette controller. 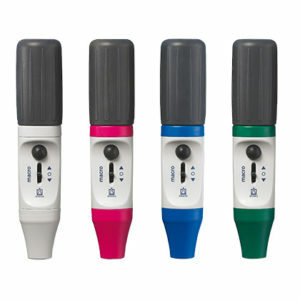 Ergonomic design in an electronic pipette controller with speed control; available in 4 colors. 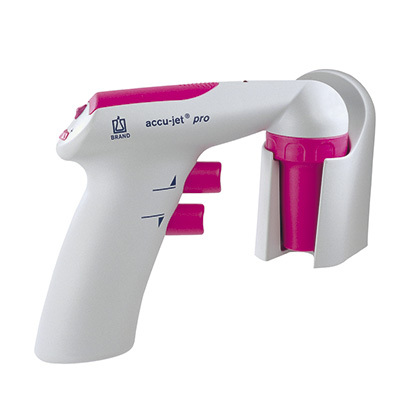 The accu-jet® pro elevates pipette control to the next level. Its ergonomic grip works well with both small and large hands. The speed range dial lets you set maximum pipetting speed, while still retaining touch-sensitive, continuously adjustable speed control. Plus, it has an unparalleled soft blow-out control to minimize disturbance of cell pellets or density gradient interfaces. The accu-jet® pro pipette controller is supplied with: wall support (gray), NiMH battery, two battery covers (one smooth, one ridged), two spare 0.2µm membrane filters (sterile*), charger (US plug models listed, others available), operating manual, and one year warranty. What does the LED battery light on my accu-jet® pro tell me? A flashing LED indicates the need for recharging. If the LED is off, the battery charge is sufficient. If the LED flashes slowly, remaining battery charge is sufficient for a maximum of two hours of pipetting but charging of battery is recommended. If the LED flashes quickly, finish pipetting activity and charge battery immediately. Can I get a replacement battery and/or charger for my accu-jet® pro? Yes. The catalog number for the replacement battery is 26630, and the charger (100-240V, w/US plug) is 26603. What catalog numbers do I use to replace the 0.2µm filters for my accu-jet® pro? Replacement 0.2µm non-sterile membrane filters are available in a pack of 10 as catalog number 26535. Sterile 0.2µm membrane filters are available in individual blister packs as catalog number 26530. Why would I use a 3µm membrane filter instead of the 0.2µm filter that was provided with the accu-jet® pro? 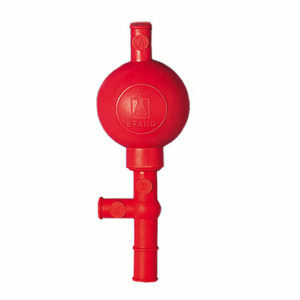 IF you are using Class A glassware AND you want to obtain the proper drain times, you need to use a 3µm membrane filter AND the gravity dispense mode. Membrane filters: 0.2µm membrane filters are available non-sterile or in sterile blister packs. Wall support: Saves bench space and securely stores instrument.